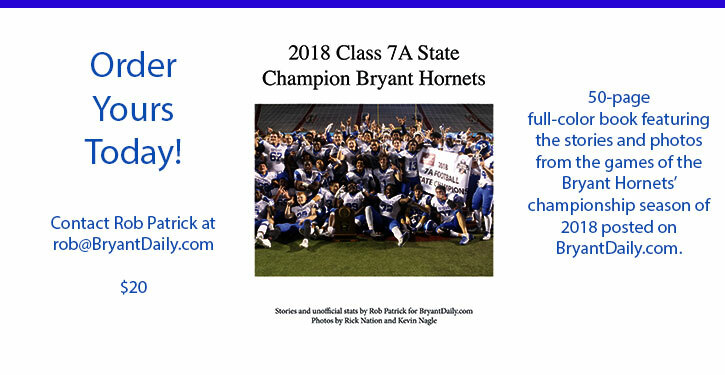 This is a last chance for Bryant Hornets football fans to order a book commemorating the team’s 2018 Class 7A State championship season, featuring game stories and photos from BryantDaily.com throughout the season. Price of the book is $20 apiece and can be ordered by emailing Rob Patrick at rob@BryantDaily.com. Deadline for ordering is Friday, Feb. 15.